When you're a fly on the wall, you hear things that people may not want you to hear. Having visited StocktonCon Winter by myself on Sunday, this fly heard a number of complaints, grumbles, and frustrations. This is the first winter iteration of StocktonCon, a pop culture convention that focuses on the artists and creators of the central valley, and it is fantastic to see the event grow beyond its annual August engagement. The growth, though, has become larger than organizers appear to be able to handle. For starters, the convention floor was much too small for the number of vendors present, especially with the high turnout among convention goers. With walkways so narrow, if two booths across from each other each had a customer, there was barely one person's width remaining to walk through. I heard several people complaining about the congestion and frequent stops in the flow of people. Part of the fun of a convention is the bustling atmosphere but when customers can't squeeze their way to a booth or through a crowd, what's the point of even being there. One woman exclaimed to her kids, who had separated in the crowd, "wait at the end, we're leaving, this is crazy." It also does a disservice to the vendors because it doesn't encourage people to take a close look at what is being sold at each booth. With a sea of people crashing down on me, constantly bumping and tapping, and rubbing against me, I'm not inclined to stand and chat with a creator for very long and that says nothing of the fact that there were some booths I simply gave up on visiting. Further, as was the case during the summer StocktonCon, a number of booths are located on the concourse upstairs and along the perimeter of the arena all outside of the main convention floor which spreads the total show all over the building and in a strange, counter-intuitive configuration. If organizers expect the popularity of this event to continue to grow and flourish, a change of venue or an expansion to multiple days is necessary. Further, there were no panels at this convention to eat up some of the crowd so all of the people are on the floor all of the time. It is simply a crowd management nightmare from the moment you walk into the building (one exit door? Really?) and throughout the entire convention. That said, there were some very talented artists in attendance and a number of comic and pop culture dealers, it is just unfortunate that it was so difficult to navigate. 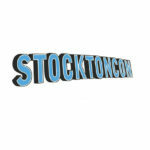 The next StocktonCon is in August which gives organizers plenty of time to adjust the thermostat (it was way too hot in that arena) and their traffic flow issues. Even adding 18 inches to the walkways would have allowed for greater flow. If you plan to attend future cons, get there early and move fast before the crowds are insurmountable.